These school holidays, the PAW Patrol SEA Patrol pups are getting ready to make a splash when they swim into Sea Life Melbourne for an all new adventure. 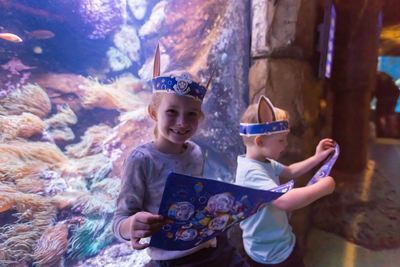 For the month of April, children are invited to delve deep into an interactive PAW Patrol quest to help find the missing pups throughout the aquarium! 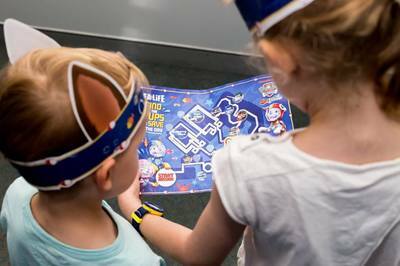 Your kids will receive a PAW Patrol pup pack including wearable puppy ears, a treasure hunt map and a PAW Patrol sticker sheet. Join the PAW Patrol SEA Patrol rescue squad at Sea Life Melbourne this April. Book online now for $45 per person for the Melbourne Big Ticket and get entry to both LEGOLAND Discovery Centre Melbourne and Sea Life Melbourne!